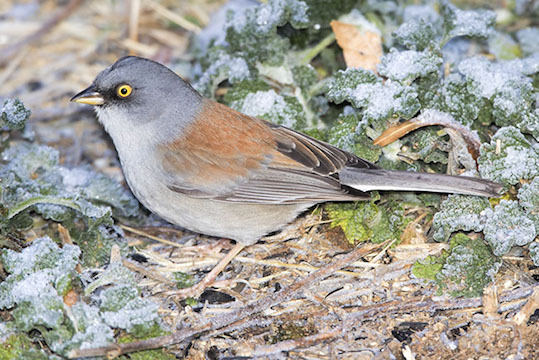 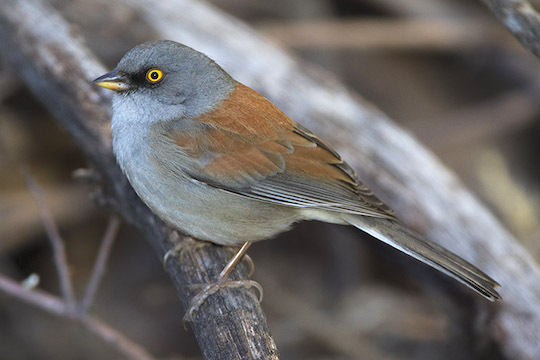 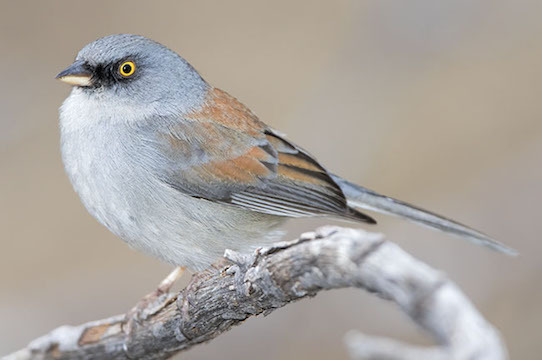 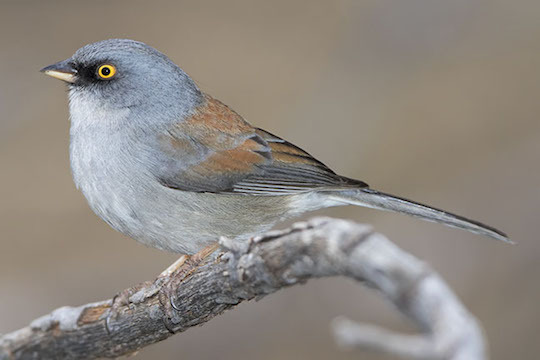 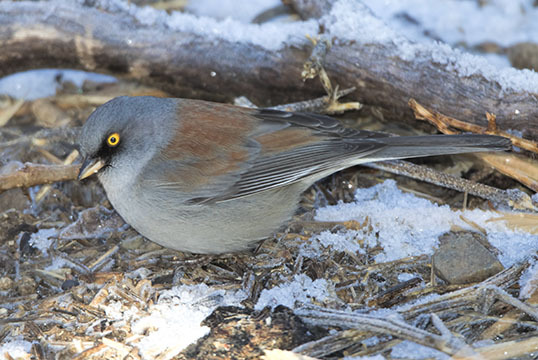 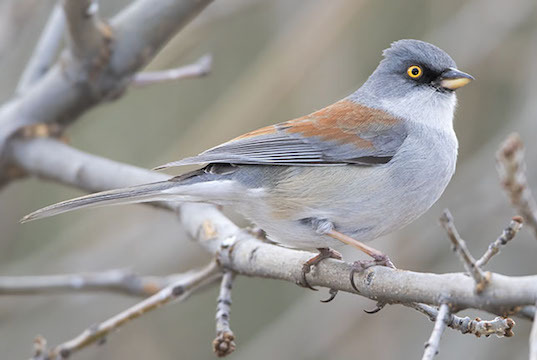 Yellow-eyed juncos occur in the US only in southern Arizona and adjacent New Mexico. 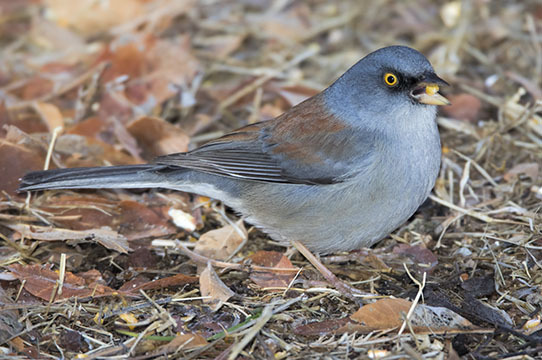 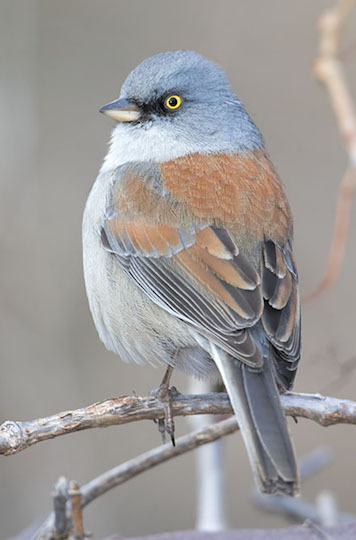 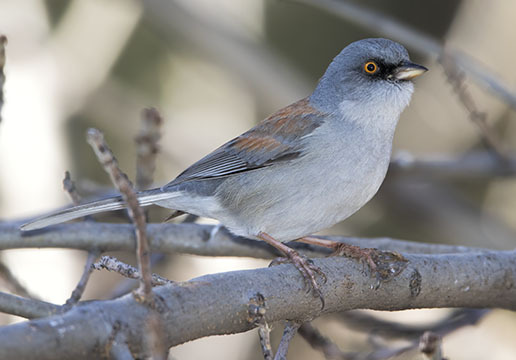 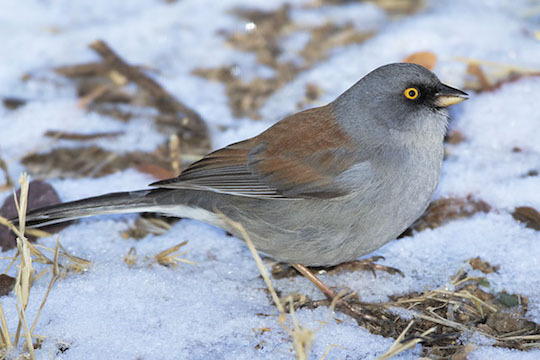 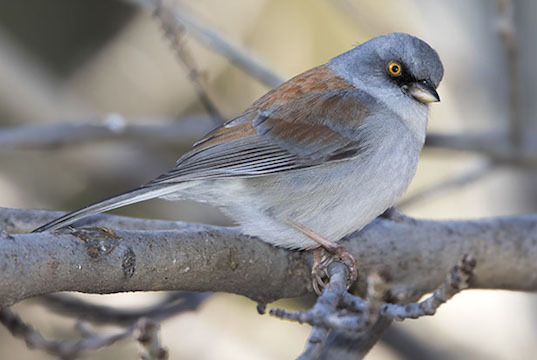 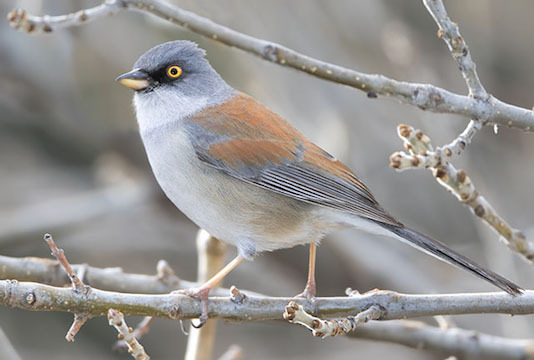 They live in mountain forests and are generally ground-dwelling like their relative the dark-eyed junco. 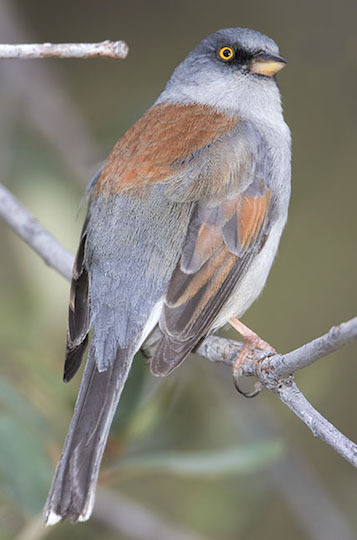 These were in Madera Canyon, Arizona.